Just a quick post today and maybe the start of a new series for me! So now, each time I get my nails done I will try and upload and share them with you! 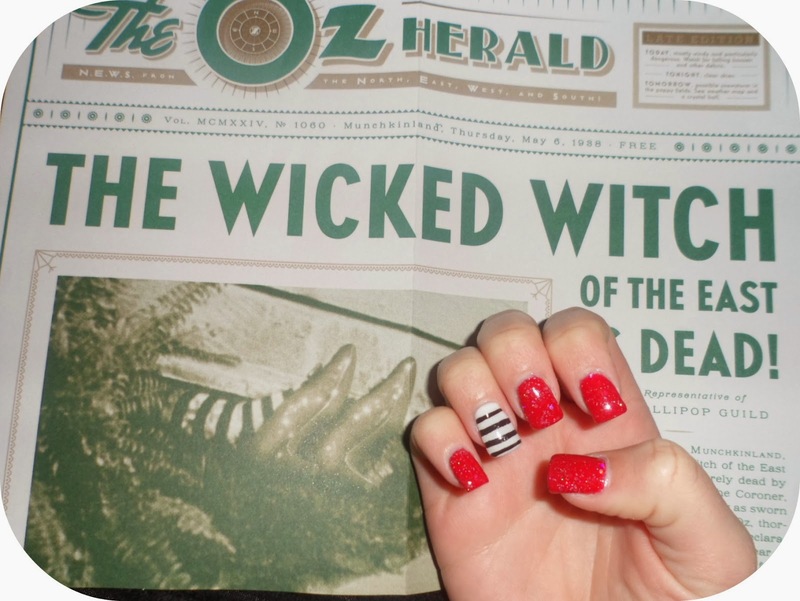 This week I decided I wanted a Wizard Of Oz theme as well....I am a bit of a fan (can you tell?)! So after looking into a few themes I decided red glitter would be a must! 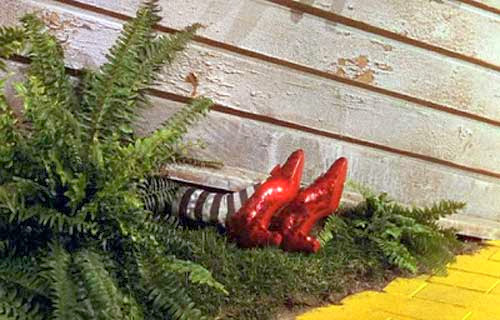 Hello ruby slippers! So what else to have with it? The socks of the Wicked Witch Of The East of course! I always have gel nail extensions and the colours are always shellac - perfect for a glamorous and flawless look! What do you think? Any ideas for my next look? Only a few more weeks and it will be time for Christmas nails! 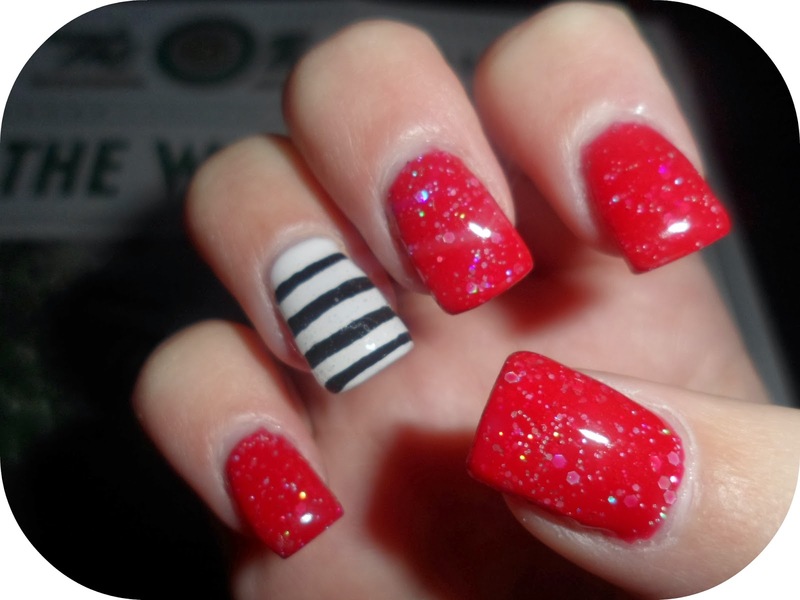 These look amazing and the red glitter also makes them quite Christmassy too :). I also love the newspaper in the background. I love wizard of oz and i love love love wicked! Lovely nails! These are so cute, the theme is such a good idea too!